Series 714 Flat Washer #714F – 107 714F – 107 7/8 inch 2 1/4 inch 15/16 inch 15 lbs. 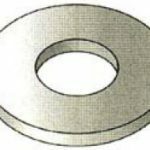 Series 714 Flat Washer #714F – 102 714F – 102 1/4 inch 3/4 inch 5/16 inch 0.67 lbs. 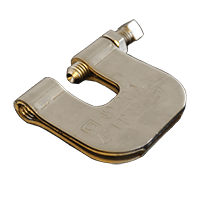 Series 714 Flat Washer #714F – 103 714F – 103 3/8 inch 1 inch 7/16 inch 1.50 lbs. 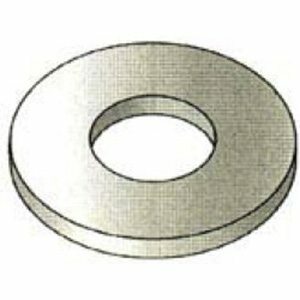 Series 714 Flat Washer #714F – 104 714F – 104 1/2 inch 1 3/8 inch 9/16 inch 3.90 lbs. Series 714 Flat Washer #714F – 105 714F – 105 5/8 inch 1 3/4 inch 11/16 inch 7.80 lbs. Series 714 Flat Washer #714F – 106 714F – 106 3/4 inch 2 inch 13/16 inch 11 lbs.